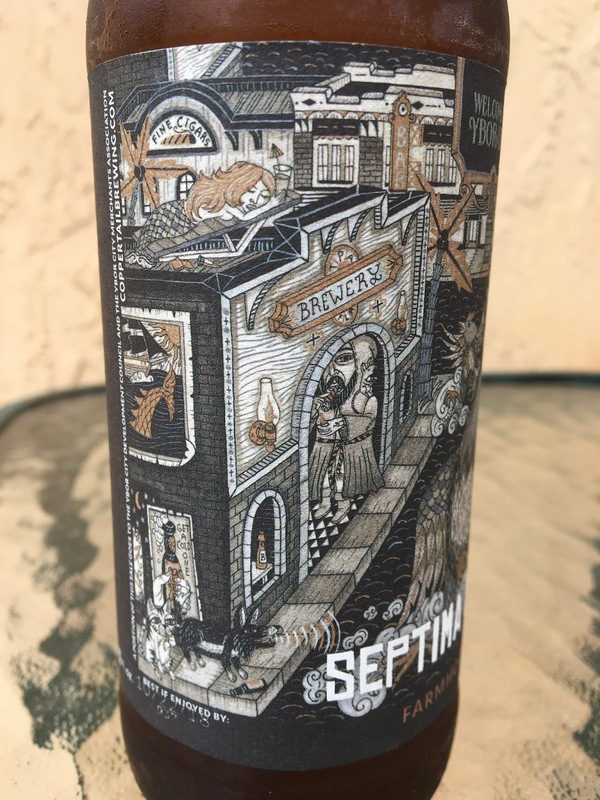 Today I'm checking out Coppertail's Septima Saison. 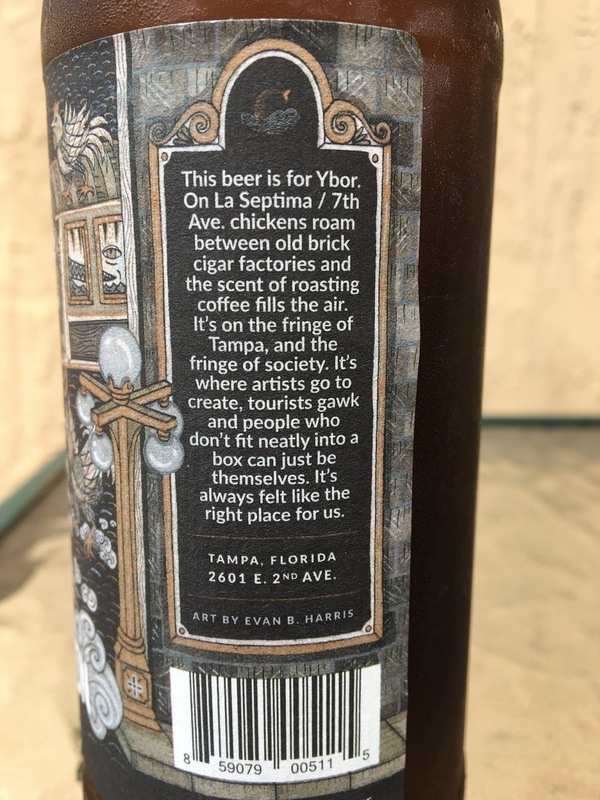 Evan B. Harris' label art is excellent as usual, depicting the area around the brewery known as Ybor City, specifically 7th Avenue (Septima). Roosters really do run wild there while coffee aromas fill the air, super unique! In fact, part of the sales of this beer go to promote the area. Aroma is a little spicy but mostly neutral. 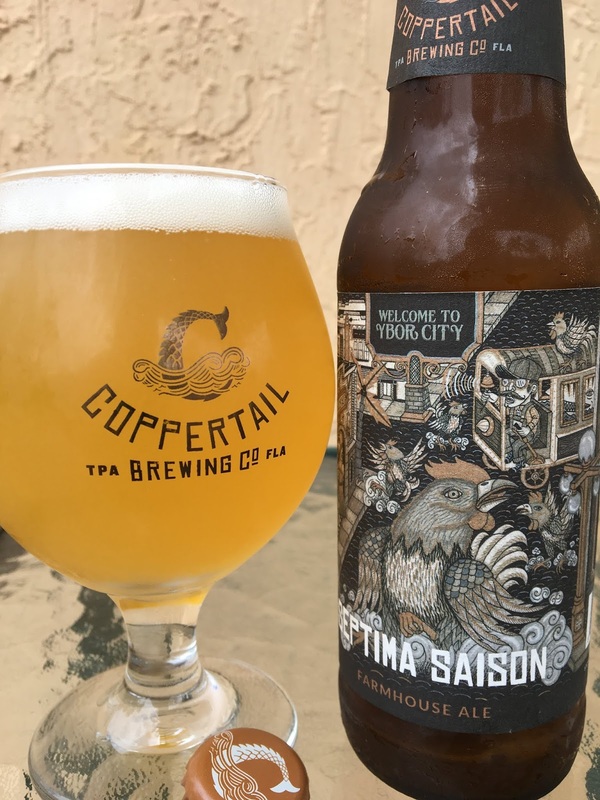 Lightly fruity flavors are followed by some yeasty funkiness. 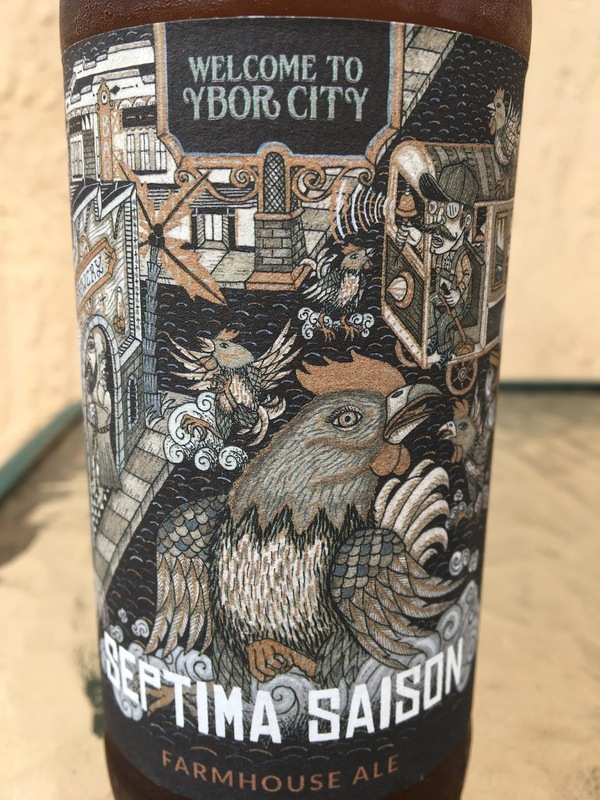 Spicy, peppery, some citrus. Solid though I liked the label art better than the beer. Probably just a style preference.